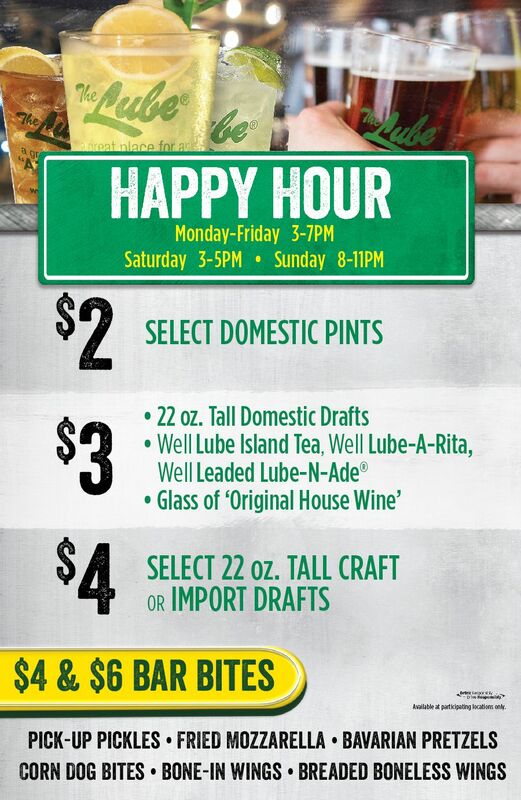 Happy Hour At the Quaker Steak & Lube® Restaurant In Greenville, SC! Monday through Friday from 4pm to 7pm! Saturday from 3pm to 5pm! Sunday from 8pm to close!